Try Our Free Price Quote Request Tool! Internet marketing services can draw the right customers to your web site. These services offer an array of search engine optimization and online marketing services to get you ranked higher in search engines and grow your business online. The typical Internet marketing service company offers many ways to promote your products and services, ranging from individual options to a complete suite of features. It’s up to you how aggressively you will market your web site and how much you can afford to spend. Pay-per-click marketing – Businesses with small budgets can pay for traffic on a per-visitor basis. You go through a bidding process for particular keywords to determine where you appear in targeted search rankings and pay every time someone clicks on your ad. Search engine optimization (SEO) –SEO allows you to improve your search results with targeted content, HTML tags, and other techniques. Not only will this help drive more traffic to your web site, but you won’t pay anything for those visitors since SEO helps you naturally appear in search engines! SEO content copywriting – To help improve natural search rankings, you can hire an Internet marketing services company to develop content developed around certain keywords. 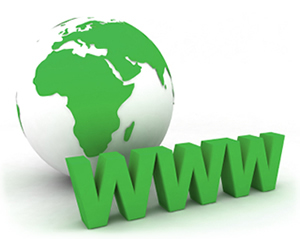 Hosted pages – Other web sites provide links for your offerings that redirect back to your web site. You then only pay a share of the revenue if someone orders products or services through that link. A step up from that is hosted marketing pages which optimize keywords and provide stronger links for clickthroughs. Directory listings – You can get listed on hundreds even thousands of Internet directories. That way, people looking for businesses like yours can pull up information about your web site. Full reporting – Once you have an Internet marketing services company working for you, they can furnish you with detailed reports showing key statistics for web site traffic, clickthrough rates, and search positioning tracking. Another name for this business is search marketing services or search optimization services since improving natural and marketed search positioning is such a vital part of the offering. Are you looking for Pay-Per-Click (PPC) management or Search Engine Optimization (SEO) services? What are your primary goals? Lead generation? Branding? What is your geographic target market?